Isn’t it true that your pet teaches you the meaning of patience? 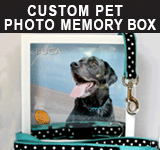 If your friend never had a best friend other than his pet, this is surely for him or her. Our little buddies fill the surface of our heart with their paw prints. Even though we can’t keep our pets with us forever, nothing can take those memories away from us. This is an important one for animal lovers to learn. With so much love to give, we should continue to show it to other animals if we can muster up the courage to do so. Isn’t that what our little friends would want? Your pet is always next to you: in your mind and your heart. There are a few people who believe their pets choose them and not the other way around, or that fate had a hand in play. Who said soulmates existed for just people? Losing a pet can be equivalent to losing your best friend. Maybe you’re here trying to support a friend, or you have people around you who don’t understand. It’s important to know this. He or she is always there in the sky. We’ll meet them again one day, just across the Rainbow Bridge. Your pet never leaves your heart. Never. Thanks for sharing. you are saying absolutely right.you are making good planning for funeral services. 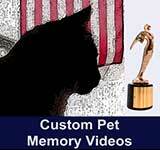 I would like to say thanks for sharing such great idea to make pet funerals. “I didn’t adopt my pet; I was chosen to nurture him all his life, and mine” This is my favorite quote and i really feel it. Thank you, tomorrow I am having my 16 year old silly cat put to sleep, she is old and has kidney disease and probably a multitude of other issues, won’t let her suffer. I have had to do the same with 3 other cats I had a number of years ago, never gets easier that’s for sure. I cannot go in when they are put to sleep, I just cannot handle the guilt I feel and it is too traumatizing. I wonder if other people feel the same way. Some quotes really touch my heart. Thanks for sharing!